Morven by Voyage The Morven fabric from the Highlands Collection by Voyage is an exquisite printed velvet which has a beautiful texture. 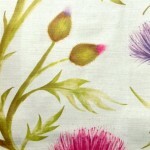 This colourful fabric has a width of 140cms. Pattern Repeat 54cm. 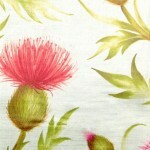 This fabric is suitable for Curtains and light upholstery. Composition is 60% cotton and 40% Viscose. Orla by Voyage The Orla fabric from voyage is exquisite printed velvet which has a beautiful texture. This colourful fabric has a width of 140cms. Pattern Repeat 83cms. 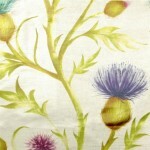 This fabric is suitable for Curtains and light upholstery. Composition is 60% cotton and 40% Viscose.